I HOPE (you see what I did there "progressive" schmucks?) you did not miss this. It was only one singular moment in a lifetime of mendacity, which made it both rare and original. 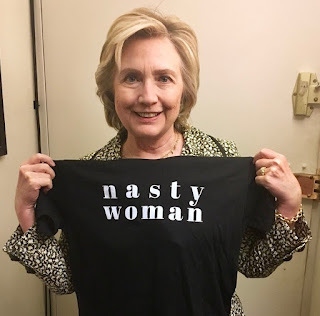 - Lying Hillary was HONEST about something! 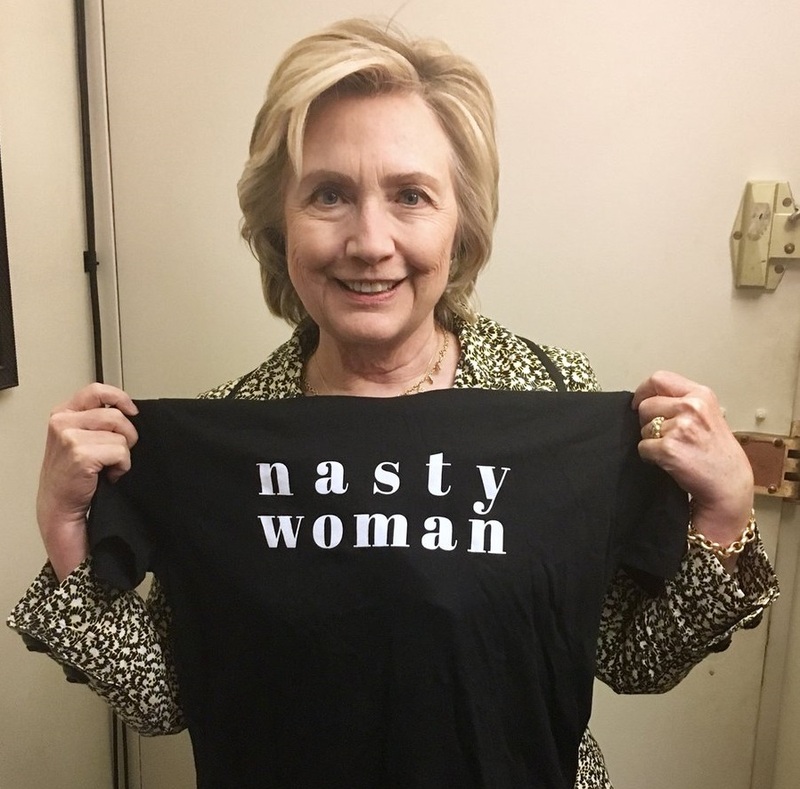 Yes, while many wryly observed that Madam Comrade Hillary had been reduced to peddling t-shirts, and most just laughed at her continued lack of self-awareness or ability to recognize irony, this WAS a very special moment nonetheless. This was "the exception that proves the rule" writ large for all to see, and captured on film for posterity. - And HMF (Her Marxist Filthiness) is grinning cluelesly, like the mad bovine that she is.